Twilight Language: What Is Coming From Space on June 3rd? Does this individual know something we don't? The media captured a recent moment with an oft-heard phrase, "a history of mental health issues." Let's look behind the quick burying of a recent story as yet another "lone nut" distraction from day-to-day life. Psychiatric disorders are no laughing matter, and are a burden to family and loved ones. But what if there are twilight messages being transmitted, not through magical thinking, but via prophetic moments? 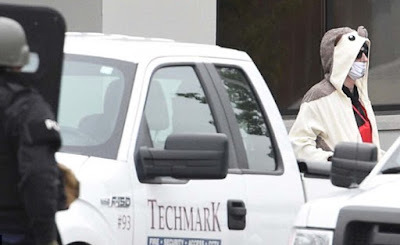 The man above, in a weird costume, threatened a television station on Thursday, April 28, 2016. This occurred north of Druid Park Drive and south of Rockrose Avenue, in the midst of several television stations. The progressively bizarre scene unfolded when the young man walked into the lobby of Fox affiliate WBFF, known as Fox45, on Baltimore's TV Hill, just blocks away from CBS Baltimore and NBC affiliate WBAL-TV. 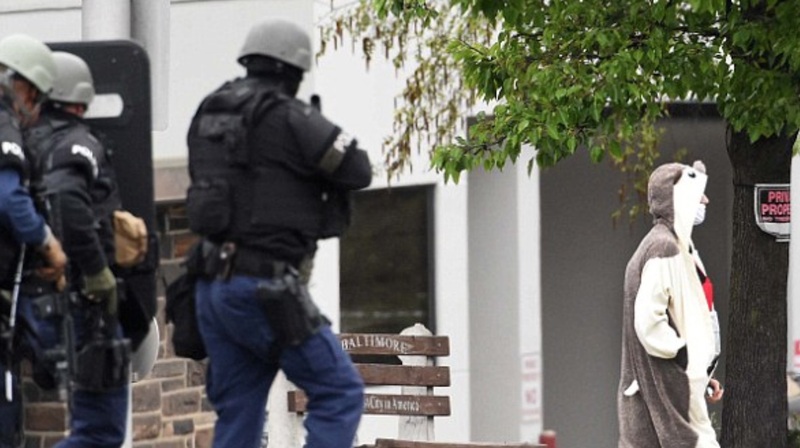 At 1:20 p.m. the suspect barricaded himself in the building. Police were unsure how far he made it into the building in the 2000 block of West 41st Street. 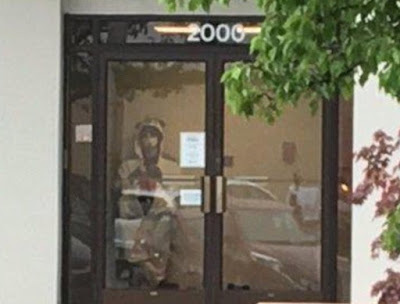 The man, wearing what Baltimore Police Department spokesman T.J. Smith said was a panda suit and what employees described as a hedgehog costume, gave a flash drive to a security guard and told him he wanted the station to broadcast its contents. In the vestibule, the man in the onesie displayed that flash drive and said he wanted to air information comparable to the Panama Papers, FOX45 News Director Mike Tomko told reporters. The Panama Papers are leaked documents that alleged some world leaders used secret offshore companies and accounts to hide billions of dollars. Smith said police don't know what was on the drive, but the security guard told CBS Baltimore, "It pretty much had to do with anything with astronomy -- black holes, the sun, about it being liquid and gas, and he just wanted to say that the government was wrong in thinking about the way they do when it comes to anything in space." 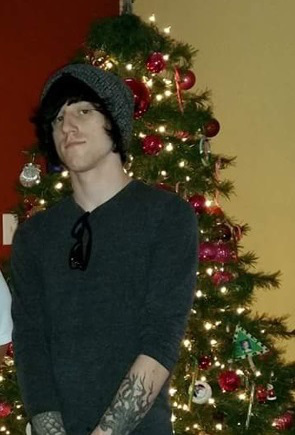 Shortly afterward, Alex Michael Brizzi, 25, of Elkridge, Maryland in Howard County. 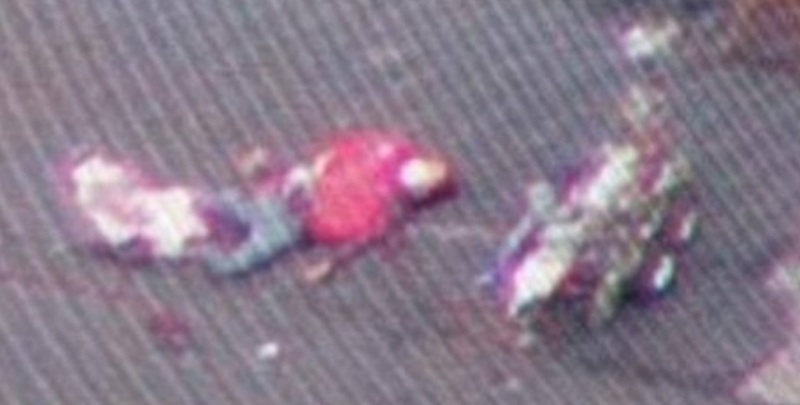 was shot and wounded by police in Thursday's incident. He was treated in a Baltimore hospital for injuries that are not life threatening, Baltimore Police Commissioner Kevin Davis said at a news conference Friday. 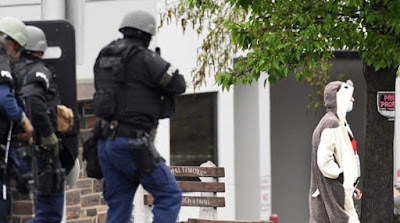 Brizzi wore an animal onesie, surgical mask, and did carry what appeared to be explosives. A panda? A hedgehog? "This outfit appears to be associated with Japanese anime culture," Davis said. 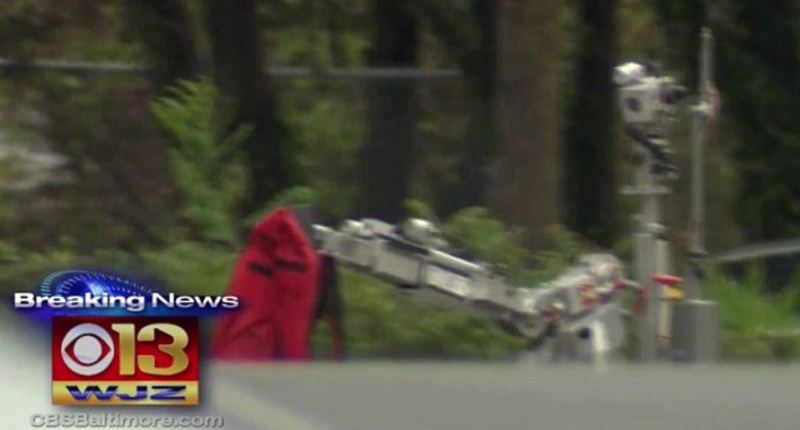 A bomb squad robot was brought in. 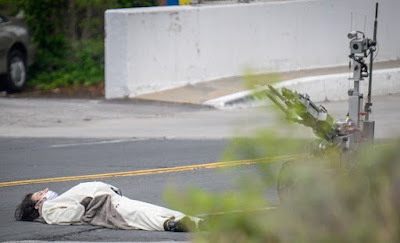 "The robot was able to disarm and disrobe Brizzi," Davis said. 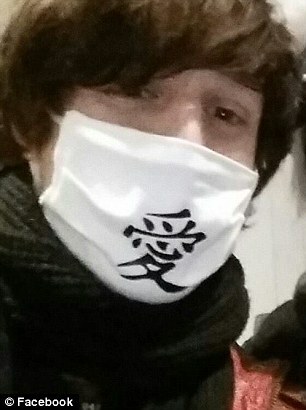 Brizzi claimed he was carrying explosives. But the "bomb" turned out to be a life preserver outfitted with wires and chocolate candy bars wrapped in aluminum foil. He was not wearing a real bomb. The suspect's father Edward Brizzi, who spoke to CNN affiliate WBFF Thursday, said his son had lost his job, had broken up with his girlfriend, and appeared to have a nervous breakdown. 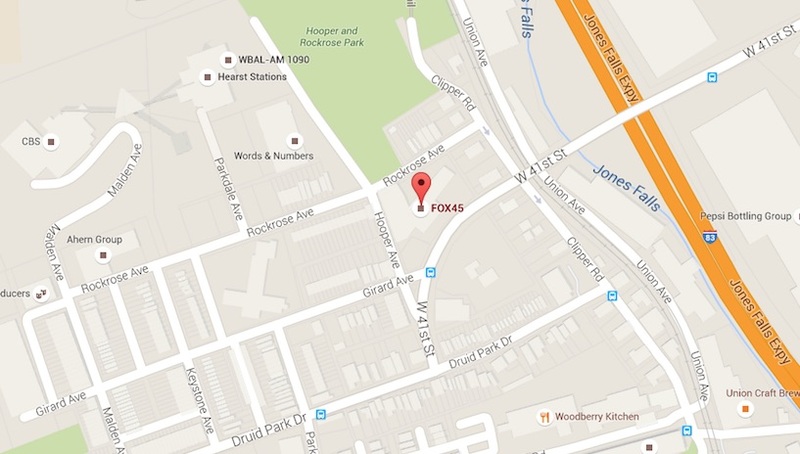 "Just talked with the dad of the 25-year-old who made the threats against WBFF FOX 45 today. 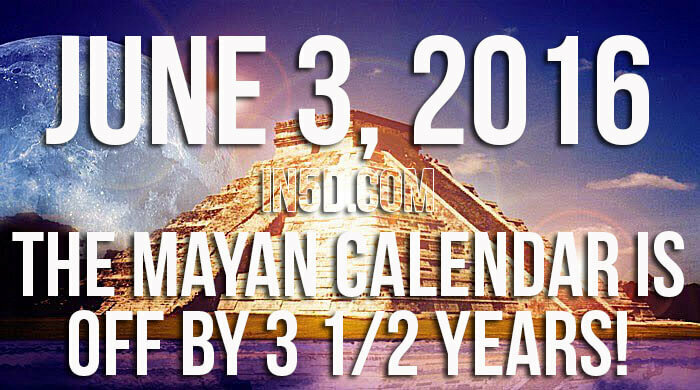 The dad says his son was convinced the world was ending on June 3rd. He says his son does not have a history of mental health issues, but two weeks ago had what he called a break. Video starts with him describing that moment two weeks ago when his son was found sleeping in a neighbor's yard," tweeted Shelley Orman, a reporter for FOX45 News in Baltimore, Maryland, on April 28, 2016. The name Brizzi is of Italian origin, from a short form of the personal names Albrizzo (a diminutive of Alberico) or Fabrizio, or from an unattested Germanic personal name, Berizo, or from the ethnic name from Latin Brittius “Breton” (of the Imperial Roman Army). 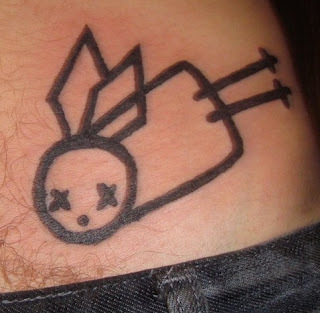 A special recent tattoo added by Brizzi, meaning as yet unknown. But probably a "fallen angel." 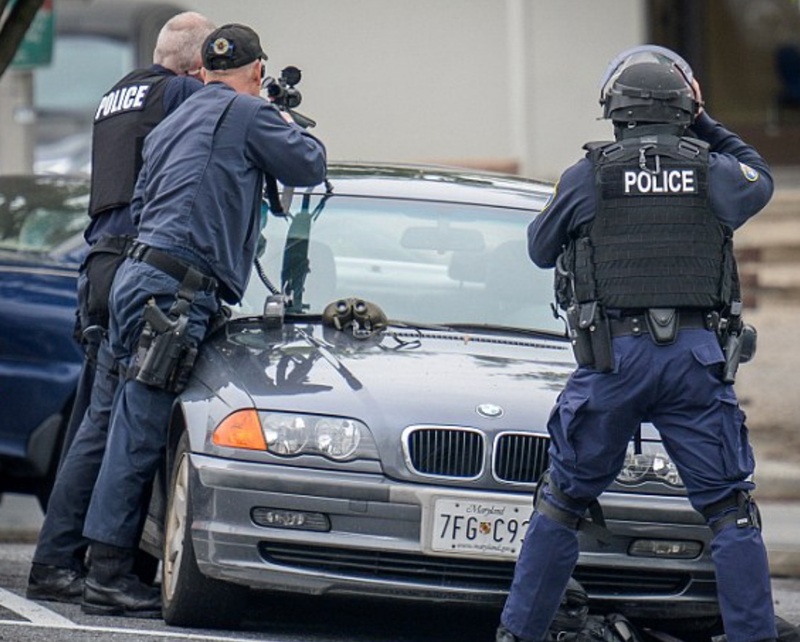 Police are ruling out terrorism, and say mental illness may have played a role. Mental health is a complex subject. With a background in psychiatric social work, having studied under Sophie Freud (born 1924, Sigmund Freud's granddaughter) at Simmons School of Social Work, I take this subject seriously. But what if yesterday's prophets are some of today's mental health patients? Were she alive today, Sylvia Plath would be on anti-depressants. Salvador Dali would be on anti-psychotics. Beethoven would be on Lithium. Newton would likely be committed as well as heavily drugged for his multiple, pervasive mental illness symptoms. Don’t even get me started on Jesus Christ. ~ Vironika Tugalenva, Rethinking Mental Illness: Are We Drugging Our Prophets and Healers? Why would Alex Bruzzi target "something" dealing with space as "happening on June 3rd?" or even that he was "convinced the world was ending on June 3rd"? Let's look at what others are saying about June 3rd? What has happened on June 3rd? And why "space" and June 3rd? On June 3, 1769, the British navigator, Captain James Cook, British astronomer Charles Green and Swedish naturalist Daniel Solander observed and recorded a transit of Venus across the sun on the island of Tahiti during Cook's first voyage around the world. On June 3, 1948, the 200" (5.08 m) Hale telescope was dedicated at Palomar Observatory. On June 3, 1966, Gemini 9 launched; it was the 7th U.S. 2-man flight, with American astronauts Stafford and Cernan. On June 3, 1969, saw the last episode of Star Trek airing on NBC ("Turnabout Intruder"). On June 3, 1980, the crew of Soyuz 36 returned to Earth aboard Soyuz 35. On June 3, 2002, NASA launched the $159 million Contour space probe to study the composition of comets. Scientists lost contact on August 15, 2002. 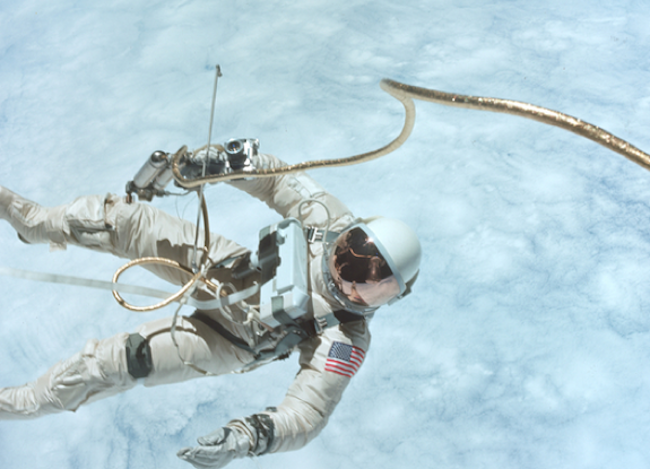 On June 3, 2010, in Russia, a male crew of three Russians, a Frenchman, an Italian-Colombian and a Chinese began a 520-day experiment in a windowless capsule, to simulate a 250-day journey to Mars, a 30-day surface exploration phase and 240 days return trip. Intriguingly, in limited release on June 3, 2016, is a new film entitled Approaching the Unknown. 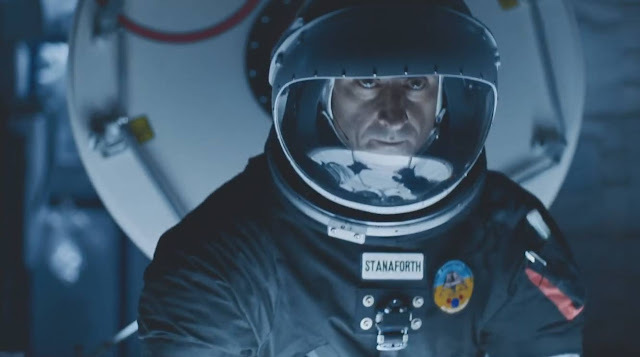 Captain William D. Stanaforth (Mark Strong) is on a one-way solo mission, taking humanity’s first steps toward colonizing Mars. Although the entire world is watching him, he is completely alone in a dark and distant sea of stars. Stanaforth rockets bravely through space facing insurmountable odds, but as the journey takes a toll on his life-sustaining systems, he is forced to make impossible choices that threaten his sanity, mission and very existence. Remember the predictions for the end of the world in 2012? Wrong year, wrong month, wrong day? 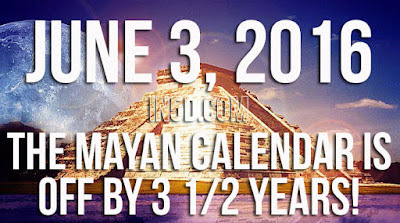 Under these new calculations, December 21, 2012 (Gregorian) is actually June 3, 2016 (Mayan Haab calendar). December 21, 2012 plus 1260 days = June 3, 2016. Watch the skies on June 3, 2016. Baltimore, eh? Recall that in the 20-year old Bruce Willis/Brad Pitt vehicle "Twelve Monkeys," Willis's time traveler "Cole" ends up in 1990 Baltimore where he is thought to be mentally unstable and is thrown in a decrepit mental institution after going on about a "virus" being released in 1996 and wiping out much of humanity, with the few survivors living underground. Interestingly, Madeleine Stowe's "Dr. Railly" character in "Twelve Monkeys" is giving a lecture in 1996 Baltimore about the "Cassandra complex," essentially knowing about the future and being unable to do anything about it, when Cole returns from the future, landing in the right time and kidnapping Railly and taking her to Philadelphia where he hopes to stop the Army of the Twelve Monkeys from releasing said virus. 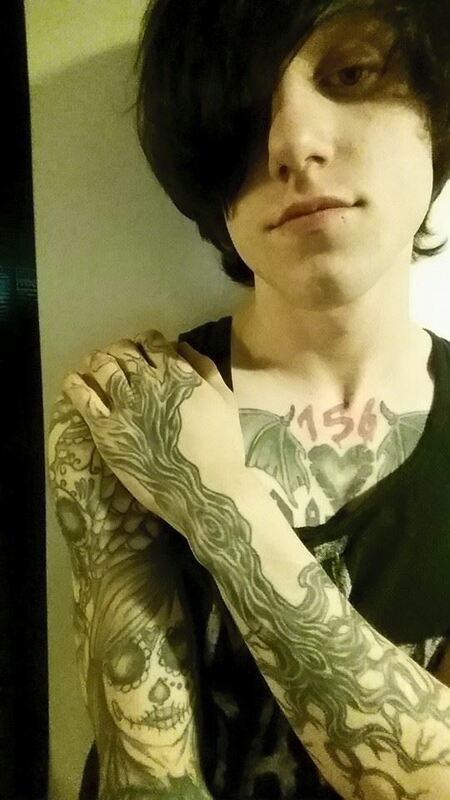 Here is the source of the tattoo. A Danish rock band called Mew. His cos-play costume looks closer to a hedgehog in coloring and features so I'm going with hedgehog. Specifically a hedgehog that has been abdominally split, exposing his heart and other viscera. I'm paraphrasing from Wikipedia where I found two connections to HEDGEHOG & FOX. Isiah Berlin's "The Hedgehog and the Fox" taken from taken from ancient Greek poet Archilochus, basically refers to a fable where a FOX knows many things but a HEDGEHOG KNOWS ONLY ONE BIG Thing. Steven J. Gould's "The Hedgehog, the Fox, and the Magister's Pox. Here again, the FOX knows many strategies but the persistent HEDGEHOG sticks to ONLY ONE STRATEGY. Note the wordplay; FOX & MAGISTER'S POX. As part of the overall news STORY, we have a reporter from FOX45 with the name Shelley Orman. The name ORMAN stands out connecting to STARMAN David Bowie's darkly esoteric song BLACKSTAR, "in the VILLAGE OF ORMEN". Yup, I'll be expecting something SPACE-like on June 3rd. The future's uncertain and the end is always near. Jim Morrison. 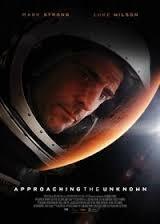 Synopsis: Captain William D. Stanaforth (Mark Strong) is on a one-way solo mission, taking humanity’s first steps toward colonizing Mars. Although the entire world is watching him, he is completely alone in a dark and distant sea of stars. Stanaforth rockets bravely through space facing insurmountable odds, but as the journey takes a toll on his life-sustaining systems, he is forced to make impossible choices that threaten his sanity, mission and very existence. Space related headlines on or near June 3 2016 include a meteor? impact north of Tucson, Arizona, and the announcement that the ceremonial dagger belonging to King Tutankhamun is made of extraterrestrial iron.